Almost too long. What has been going on then? What about swimming and biking until Ironman? I got a plan I promise. Last year I started to swim open water in June. And I feel that I don´t need to put that much energy on swimming. I´m happy to swim 3,8 km in 1h 30min. But biking then? Well, maybe this weekend? I miss My Lady a LOT and I hope she misses me. I have a plan here also, to just get 110km+ before IM. 1. You get stronger running muscles and stronger upper body by boxing. 3. Experiment all the ”food/energi” on long biking sessions and runs. 5. Bike in rain and bad weather – witch I did last year and oBoy what a good motivation boost. 8. Buy a GPS-tracker so loved ones can find me if something happens on the lonely long distance trainings. 9. Buy a new wetsuit!!! 10. Smile smile smile and see the goal. 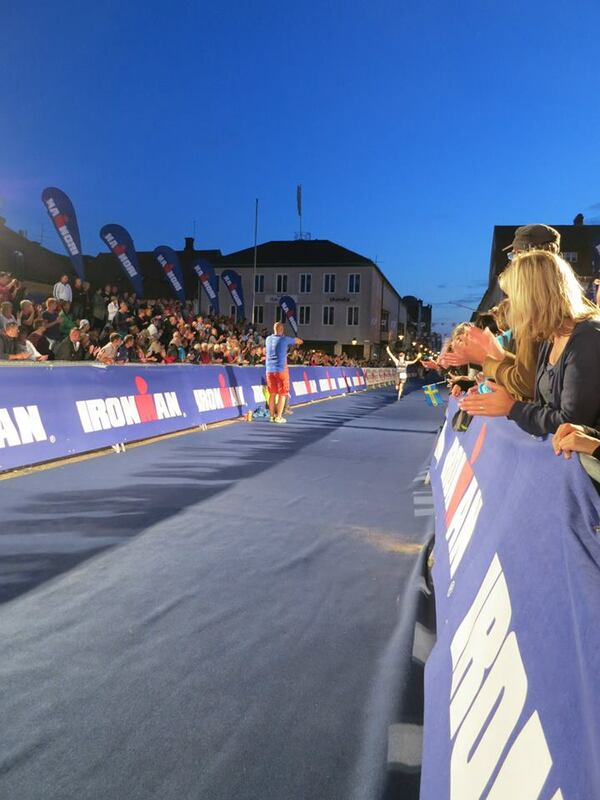 In the pic it´s me running super fast to the goal in IM Kalmar! Detta inlägg postades i Bike, Friskis&Svettis, Race, Reflektion, Running, Swim.